Orca Book Publishers, 9781551434353, 32pp. 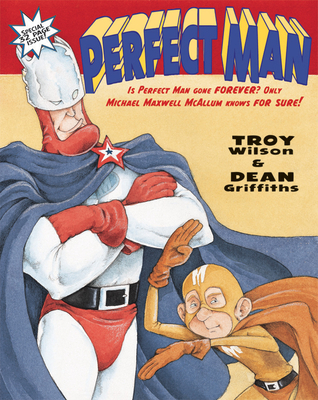 Michael Maxwell McCallum lives in a world just like ours, but peopled by superheroes. When Michael's hero, Perfect Man, quits his job without warning, Michael isn't worried. He knows that Perfect Man will come back. He always does. So that September, when a new teacher shows up in his classroom, a teacher with a number of special powers, Michael figures it out right away. Mr. Clark is Perfect Man. Mr. Clark doesn't say yes and he doesn't say no to Michael's endless questions, but he does encourage Michael to find his own super powers.